After recent news of Facebook coming out over selling, distributing and sharing data that shouldn’t be shared to 3rd parties. Appleosophy wants to reassure our users that we have the tightest data policies when it comes to handling your data. The core leadership team are the only ones who come into contact with your data through moderating our forum and also managing our security from insecure IPs – as we want to make sure only the best is displayed to you. Unlike some media companies, while having a Facebook page for Appleosophy, we do not use any of Facebook’s services for ad tracking or analytical purposes. Instead we use Google as this is a more secure and easier to understand platform for our team to be able to predict how to plan our content and not just ads. With using the Google AdSense platform, we always hand pick and check our ads before being authorised and delivered to you. We are currently suspending our ad service to allow our site to be modified and tested with ease; as well as not distracting or scaring our users with this recent Facebook data scandal. We also use certified SSL certificates, showing our site identity and telling users that any information entered is safe with us. Any data stored on our server(s) is kept confined from all admins unless given permission by the rightful owner or if there is a concern regarding the data.  You can help Appleosophy develop by liking and sharing our content as well as even donating to us, so we can fund vital projects to make your experience better at Appleosophy. You can also apply for jobs to work and meet the team and further grow our fanbase.